Pei-Yen Wang has joined Lexington Transport (New York), Inc. as senior marine superintendent, it was announced by H. E. Engelbrecht, president. From 1948 to 1966, Mr. Wang served in all engineering officer capacities from 3rd assistant engineer to chief engineer. He holds a USCG and Republic of China chief engineers' license, as well as a master's degree in naval architecture. In 1966, Mr. Wang became assistant vice president, engineering at United Tanker Corporation. 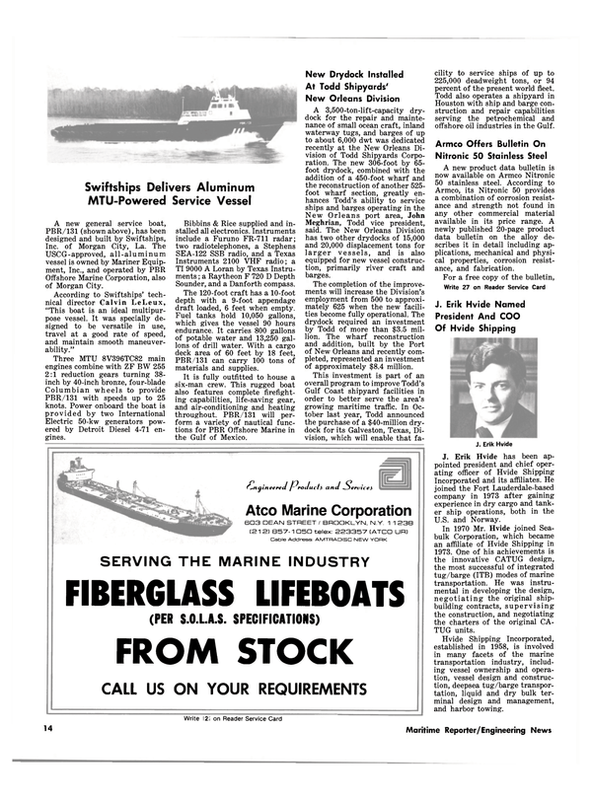 From 1973 to 1979 he was superintendent in charge of various vessel conversions and repairs. At Lexington Transport he will oversee the maintenance and repairs for a fleet of 10 specialized vessels.